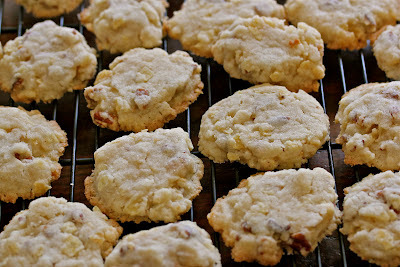 BOSSY BETTY: Potato Chip Cookies! OH MY GOODNESS BB where do you find this most delicious recipes? Heck we could have those for breakfast they have so many good nutritional ingredients. Sweet and salty. Heavenly combo. Sounds like just what is needed here! Health food for heaven's sake. They sound good. Chewing on a scented candle isn't much fun anyway. I've decided that you must be dark Betty . . . For only "Dark Betty" would haunt me with POTATO CHIP COOKIES and THEN smear CHOCOLATE on them!!!!!!!! I will give them a try, using my almond flour and have my gluten free friends share with me. You mean crisps right?!!? Crisps in cookies?!!? That's essential! We love crisps in cookies! Yes please! Oh but what flavour crisps!?!? Oh gosh! Decisions! I love how spinach is balanced with cookie! Never heard of this but now I want it. The sweet and salty marriage sounds divine! Thank you... I just might be able to handle these! I just know they smell terrific too! 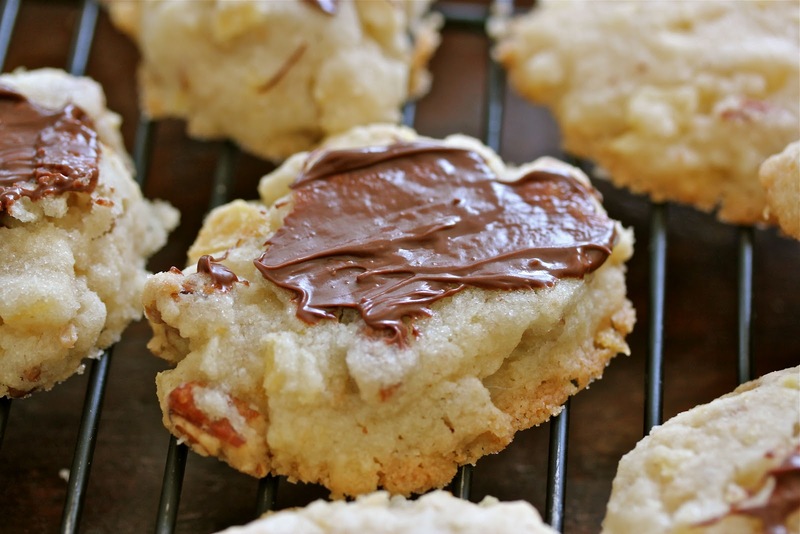 Potato chips...inside cookies? Sounds intriguing. I may have to try this. One of my children brought these cookies home from his family living class at school and we made them. Very delicious. I'm not wasting something so yummy on my co-workers! a statue would be nice too !! Somehow I think you're getting better comments on all these baked yummy things than you would be if you posted your exercise schedule!! It sounds yummy and like health food to me!